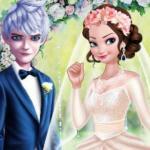 Elsa And Jack's Love Wedding game at abcya 3 free is one of those lovely and fun games that is suitable for everyone, especially kids. 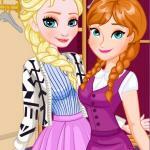 If you are a fan of fashion games and princesses, I recommend that you do not miss this opportunity. 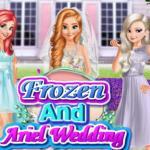 This game promises to bring lots of relaxing moments and a memorable experience for players. What are you waiting for? Explore this game now! 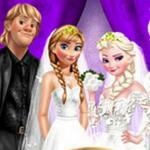 In this beautiful kingdom, Elsa and Jack decided to hold a memorable wedding with beautiful bridesmaids. However, they are looking for a professional stylist to design unique and stylish styles for brides and bridesmaids. 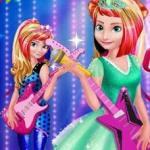 Are you ready to show off your fashion talent? 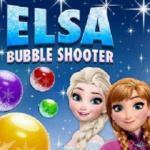 Here, your mission is to select and combine gorgeous wedding gowns and accessories to help Elsa become the most beautiful princess in the palace. 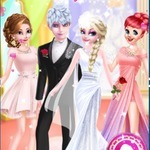 You have many different choices such as wedding dresses with many colors and styles, hair styles, jewelry and shoes. 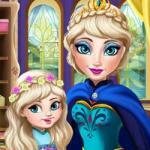 You can choose and combine until you create a perfect style for Elsa. 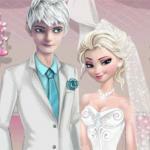 Try your best to make Elsa become gorgeous and seductive in the white wedding dress. With each item, you will have many different choices of colors, styles and shapes. 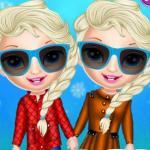 Therefore, you can create many choices for Elsa and find the most suitable style. 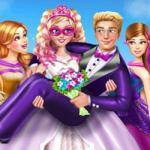 In addition, you have another important task: choose bridesmaid dresses. Play by using your left mouse or tap directly on the screen.